As the title indicates this is indeed a post about a paddock but not just any kind of paddock and not just any kind of post. 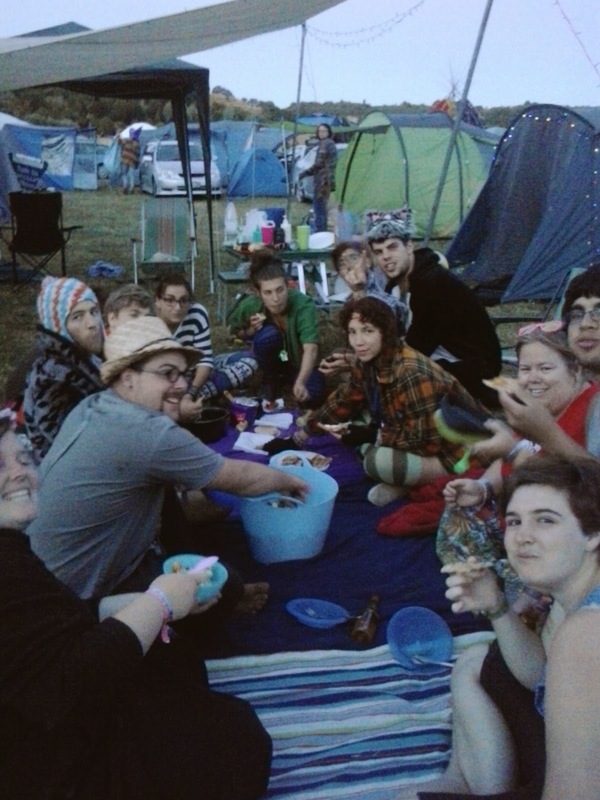 This is a post about KIWIBURN WYRD 2015! Which was indeed held in a paddock in the middle of nowhere. 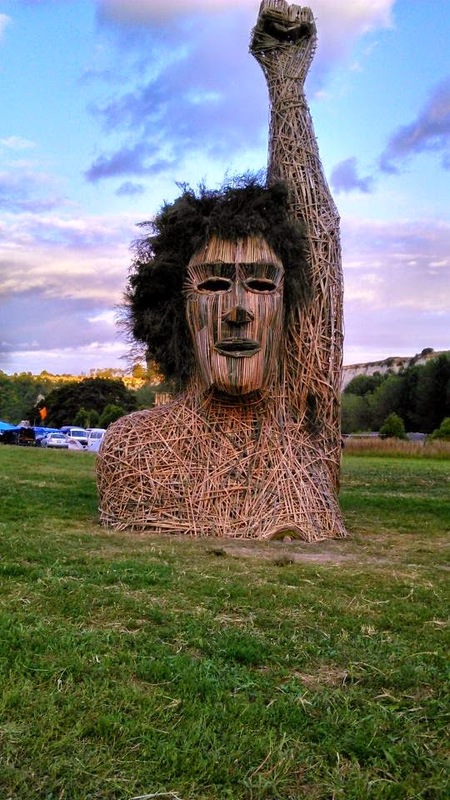 The 12th Kiwiburn festival in New Zealand was held on Wednesday the 21st of January to Monday the 26th of January and it was one i'm sure no participant will forget! However this post is to share some of the experiences of our members and their photos for everyone to enjoy! 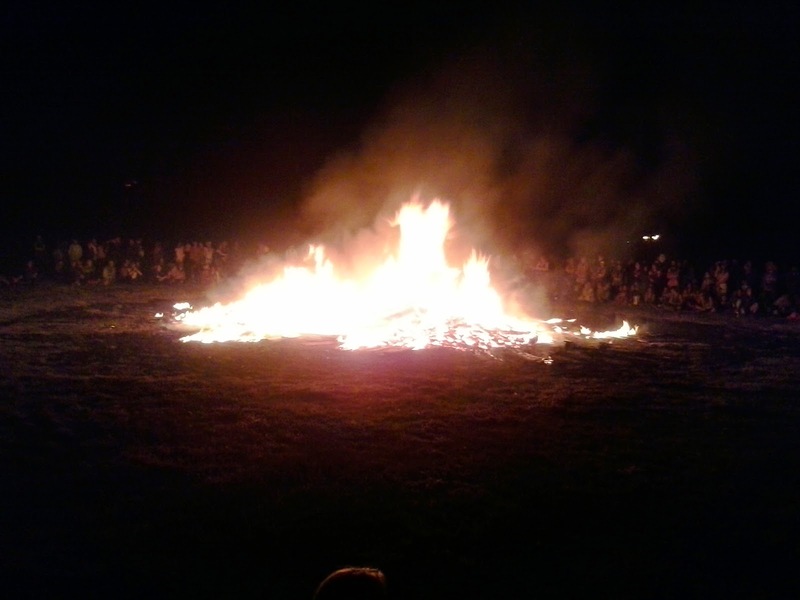 Every year on the Saturday night we have the Burning Man! But this year it was a Burning WOMAN! 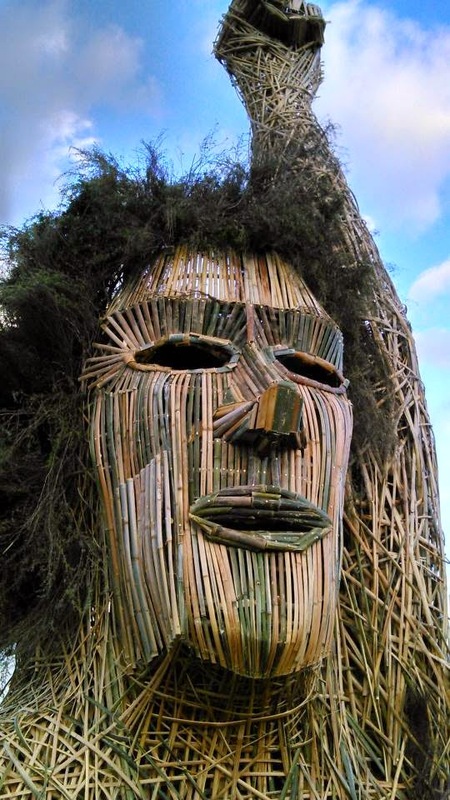 A beautiful sculpture made mostly of pallets and bamboo, was a landmark and the star of hundreds of photos for Kiwiburn 2015. When the woman is burnt everyone cheers and dances around the burning effigy. A celebration of everything. From behind you could climb a ladder into the woman's head and see through her eyes. 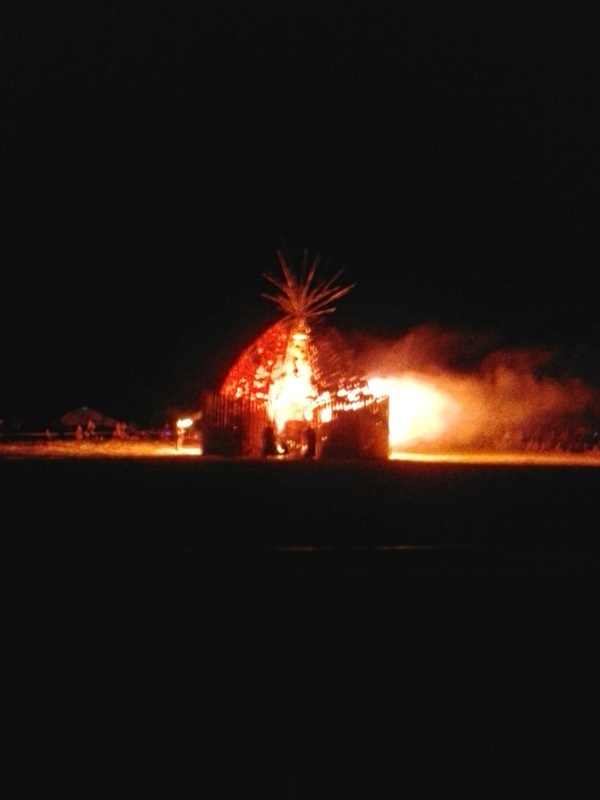 The other main event of the festival which occures every year is on the Sunday, the burn of the Temple. 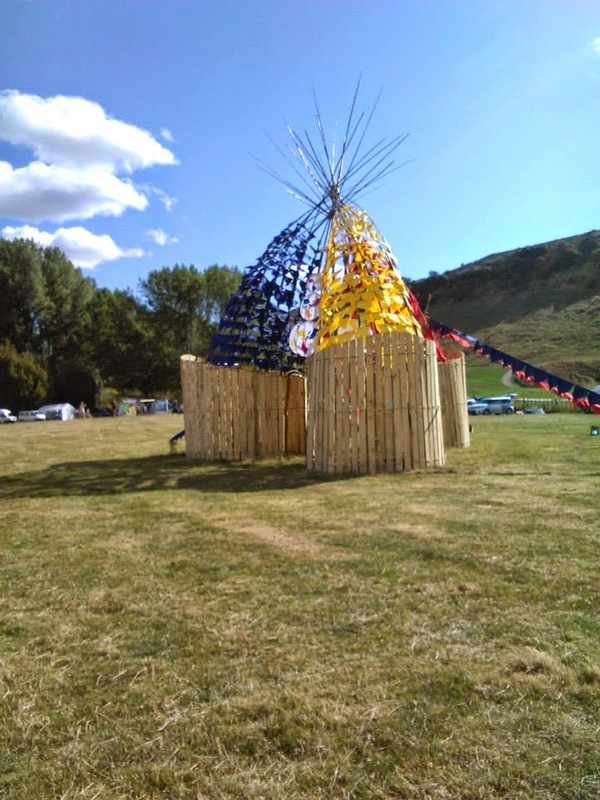 Designed by Rohana Weaver this year the Temple was a very spiritual place of letting go, moving forward, finding balance, unity and interwoven nature of life. People were encouraged to write messages on the walls of the Temple before the night of the burn. 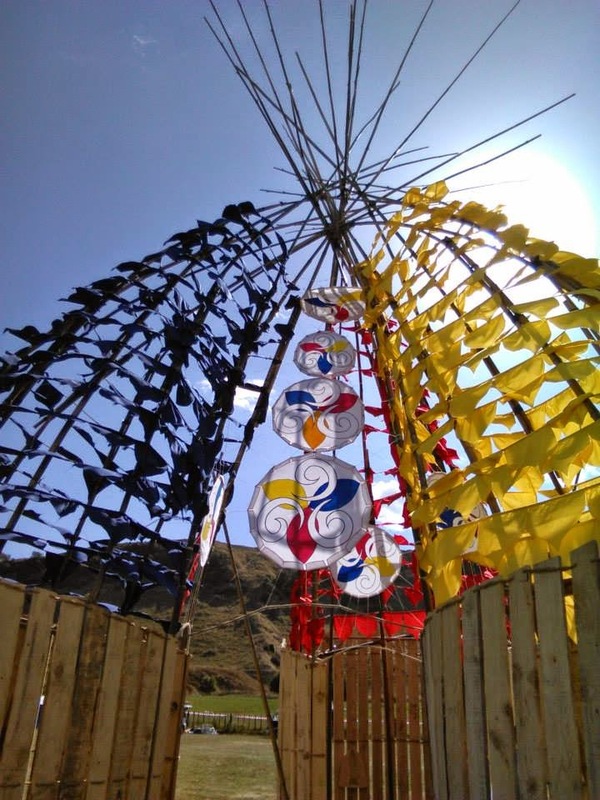 All the flags made a surprisingly loud noise, rustling in the wind. The night of the Temple Burn is spiritual, quite emotion event done in silence. It effects everyone differently but the beauty of Kiwiburn is the community and support given to everyone. 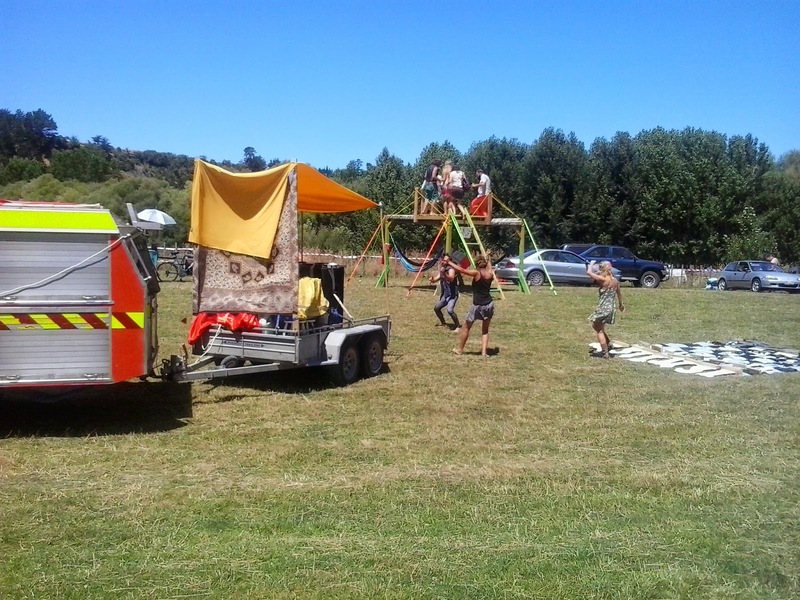 This year due to wind and location we had some tents attacked with a hose from the fire engine to ensure we did not have burning tents alongside the burning temple. A photo can never truly explain the beauty of such a moment. No one was left hungry that night! And this must be mentioned! A portable DJ and Bar towed by a fire engine! yes you got that right guys! 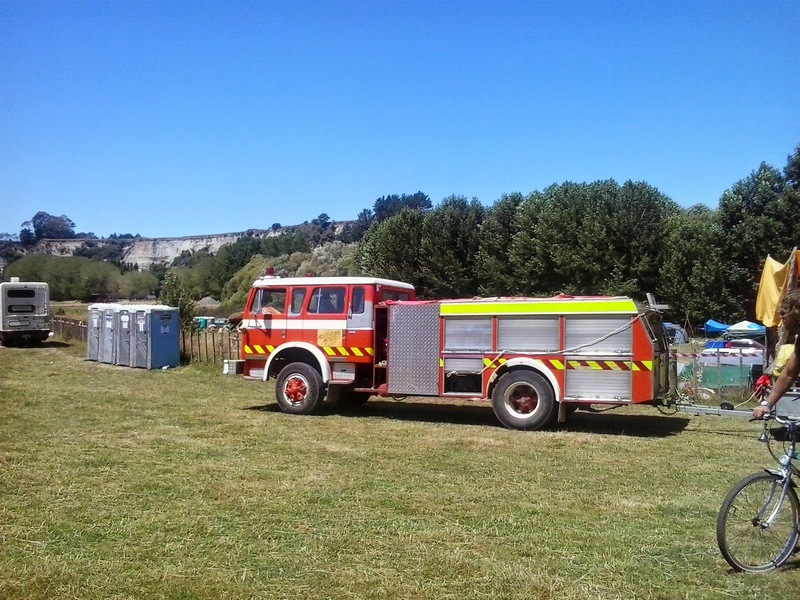 A fire engine travelling the paddock to provide festivity in the form of beer music and dance! Alternative healing was present in the paddock, along side a first aid tent. 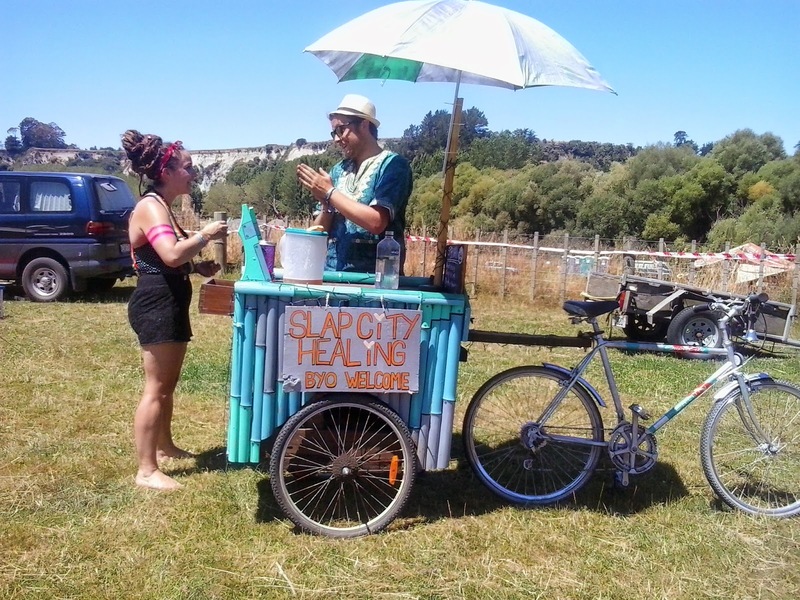 But this portable healing booth went go down as a favourite, SLAP CITY HEALING. How does it work you may ask? Take a mysterious shot to cure your ailment immediately followed by a good slap to the face to ensure it is chased out of the body, followed by a bear hug to top it off. Voluntarily stepping up for a good ol' slap of healing.